Now, this is just the perfect place for adventurers and thrill-seekers of all ages! 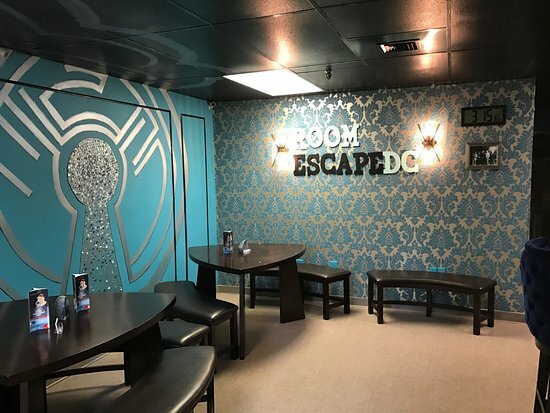 The Room Escape DC/ Fairfax is considered as the largest escape room venue on the east coast. It houses eight, real life escape room games for all ages and real-life puzzle-solving adventure. There are also team buildings, escape bus and birthday packages. The place is actually located at 3949a University Dr, Fairfax. You can invite your circle of friends, your whole household and colleagues, to have a very exciting time together. Make sure to divide the group evenly. The teams will be locked in a room full of puzzles, keys, riddles, locks, and an exciting assortment of other objects with only an hour to solve the puzzles and find a way out. The Room Escape DC/Fairfax has a variety of escape rooms that will surely give you a great time. The rooms offer different games in a different setup. So, you can expect surprises. Their rooms even have interesting names such as, “The Frightful Feast”, “The Cure”, “Molly’s Horror Room”, “Save the White House II”, “Survive the Joker’s Trap”, “Bowl Voyage”, and “Escape from Venus II: Collision Course”. Want to experience how it feels like to be a villain or a lawbreaker. Besides, it’s fun to break the rules sometimes. Also, here at Room Escape DC/ Fairfax, you’ll hurt no one as you play the role. Their escape bus involves a 40-minute adventure and a prison setting and criminal escape concept. It caters to 8 to 40 people. You can get a free quote online, just visit their website. If you are looking for a unique venue for your company’s team building, Room Escape DC/Fairfax is just the perfect choice. They have exciting, challenging rooms designed for strengthening and building teamwork among the members of the group. You can use the VIP suite for a maximum of one hour before or after the game to gather everyone for orientation and further instructions. You can choose from three VIP room rental packages: silver package (up to 15 guests); gold package (up to 30 guests); platinum package (up to 50 guests). The packages are inclusive of pizza with beverages. Each team will be trapped in a room with a variety of puzzles, hidden items, and more thrilling surprises and obstacles. Moreover, you need to solve all the mystery games within 60 minutes. Want to enhance effective communication and cooperation between your people? Call Room Escape DC/ Fairfax where building leadership, problem-solving skills, and creative thinking is very much supported. The activities will really make groups think hardly outside the box. Make birthday parties more exciting! Room Escape DC/ Fairfax offers escape room birthday package available during Sundays to Fridays. There’s a 2-hour private event package inclusive of 1-hour escape room up to 10 guests, 1-hour use of the private VIP room before or after the game, pizza and beverages, and customized and hidden birthday card. You can also book for family reunions, bachelor parties, and any other event. Make the most out of your visit at Fairfax by dropping by at Room Escape DC/ Fairfax!